Insect follows Nymphalidae family, and Lepidoptera order. Butterfly body is black with white spots, wings are yellowish black. Wing is 70-80 mm long. It flies from dawn till dusk. Female lays one oviparous on lower surface of leaves, then on the upper surface making several holes in leaves. 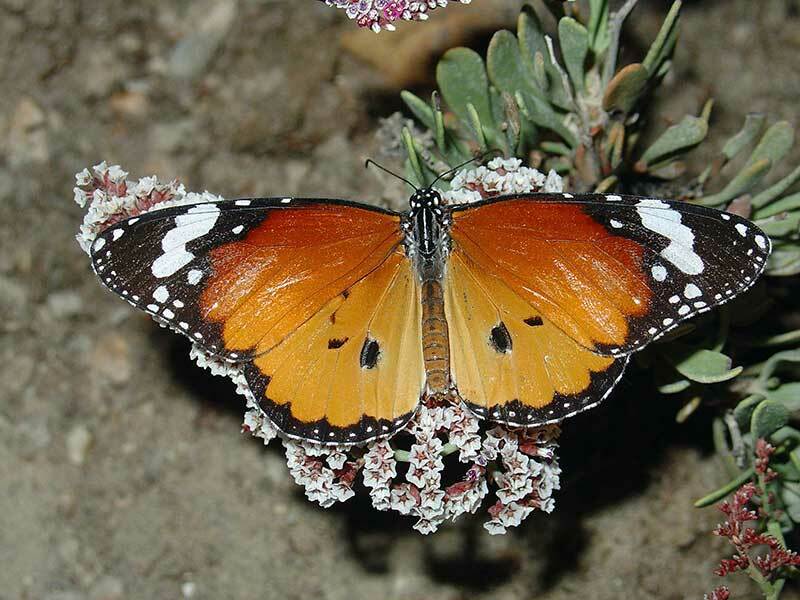 Butterfly attacks several plant families including; Asclepiadoideae , Moraceae, Malvaceae, Gramineae, and Rosaceae.